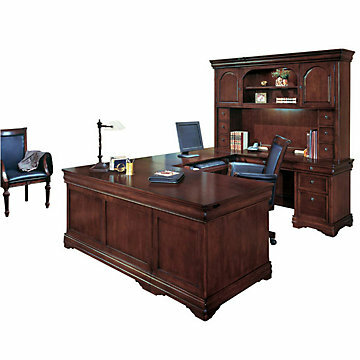 DMI Office Furniture Rue de Lyon Collection Executive Right U Desk is quality crafted with maple solids and American cherry veneers, with select hardwood detailing. Desk, credenza, and bridge each have a drop-front drawer that can function as a conventional pencil drawer or a keyboard drawer. Each pedestal includes a felt-lined box drawer with pencil tray, box drawer with dividers, and file drawer. Middle box and file drawer secure via kneehole lock. 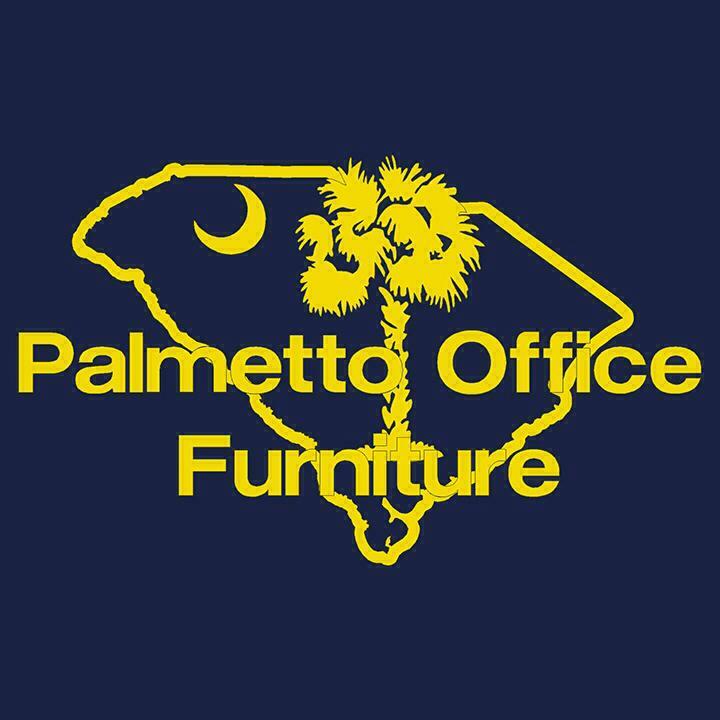 Desk measures 72″W x 36″D x 30″H, credenza 72″W x 24″D x 30″H, bridge 48″W x 24″D x 30″H. File drawers are equipped to accommodate front to back letter sized or side to side legal sized hanging file folders. All drawers are fully extending. Four levelers per pedestal. Cable grommet in each pedestal end. Curio hutch features 2 cabinets (16-3/8″W x 12-1/2″D x 20-5/8″H), each with an adjustable shelf. 6 CD storage drawers (5-5/8″W x 8″D x 6″H) provide ample media storage. Center display area (30-5/8″W x 12-7/8″D x 16-7/8″H) has an adjustable shelf and accent lighting. Also includes task light and cable access through back panel. Overall dimensions: 73″W x 15-1/2″D x 48-3/4″H. Ships assembled, just attach bridge to desk and credenza.